Caroline and Brian is, definitely, one of the most amazing couple I have been working with. I would say I was very lucky to shoot their wedding. At the first time I met with Caroline and talked about her wedding and what she expected to see on photos. Caroline said, she trusted me in my professionalism and she allowed me use my photography style to make her wedding to be the best night of her life. I did promise and now I'm delivering the photos! Here is the first part of the wedding from almost 1,200 photos last night. 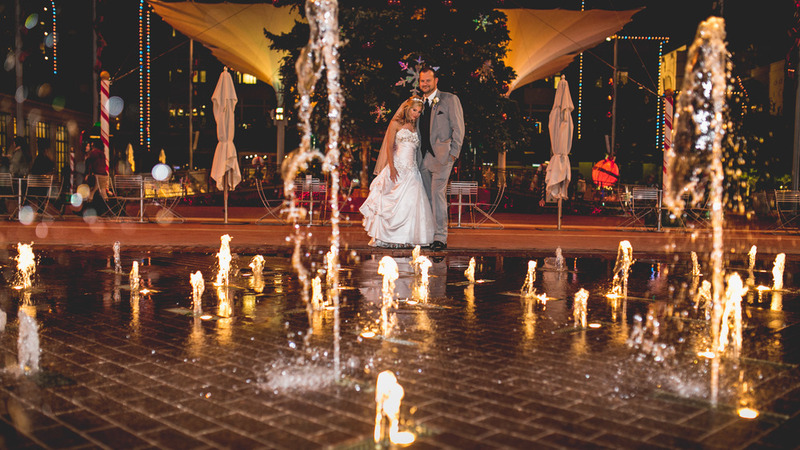 23/11/15 - I uploaded post-wedding photos from Sundance Square. Caroline wanted to have photos at Sundance Square with Brian on her beautiful bridal dress. Absolutely, WHY NOT! However, we did not know the cold was coming at the time. We were hesitate about taking photo after the wedding for a second. It was 36 degree in Fort Worth at that time!! Caroline and Brian turned to be the toughest couple I have ever shot! They had so much fun even the cold wind came through all the shooting. As a result, the photos turned out AMAZING as I promised.